Amy oversees external and internal communications across Leo Burnett’s 85 global offices. In this capacity, Amy wears many hats including writer, editor, strategist, coach, media hound and social-media addict. She serves on the Leo Burnett U.S. Operating Team and is the communications lead for the global company’s Executive Leadership Team. Amy also runs Leo+, the PR and reputation engine inside Leo Burnett that serves clients’ reputation needs across external communications, employee engagement, community outreach, social media strategy, editorial content and thought leadership. 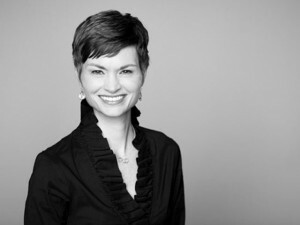 Prior to this role at Leo Burnett, Amy served as the U.S. Communications Director at DDB and Tribal DDB for 10 years. Outside the office, Amy lends her time to one of the Leo Love organizations, Embarc, and serves as its Board Chair. She and her husband live in Chicago and are the proud parents of three young children. Amy is also a lover of travel and recently volunteered with her two daughters with Unearth the World’s Sustainable Travel Partner in Nicaragua.